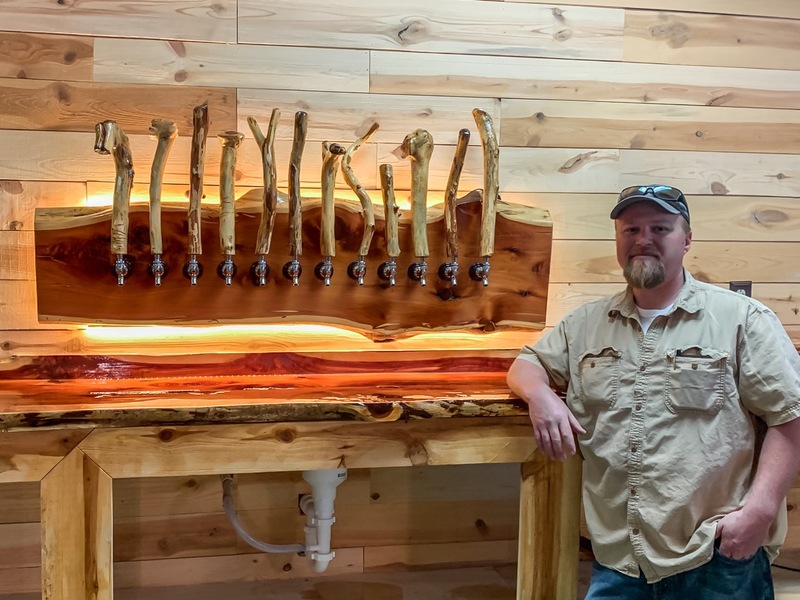 Although the number of breweries in Arkansas is on a steady rise, it has been a while since a beermaker set up shop in Fayetteville. If all goes well, that will change next month. 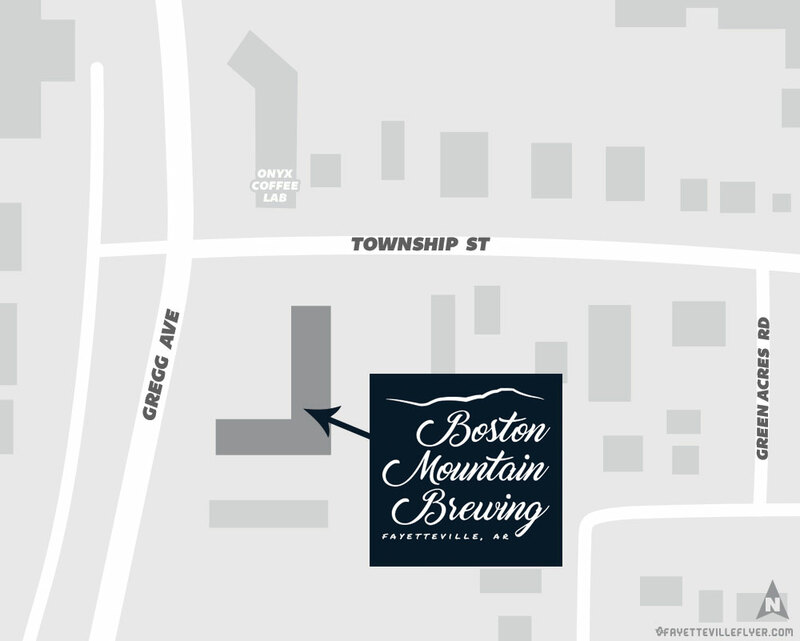 Local residents Matt Thompson and Sam Grinceri have been working hard to launch Boston Mountain Brewing at 121 W. Township St. in midtown Fayetteville. I was able to catch up with Thompson at the brewery on Monday to discuss the pair’s progress. Thompson said he and his partner are working through the last vestiges of construction and permitting at this point. “We’re both chomping at the bit to turn this into a full-time day job,” he said. They aren’t far from achieving that goal. 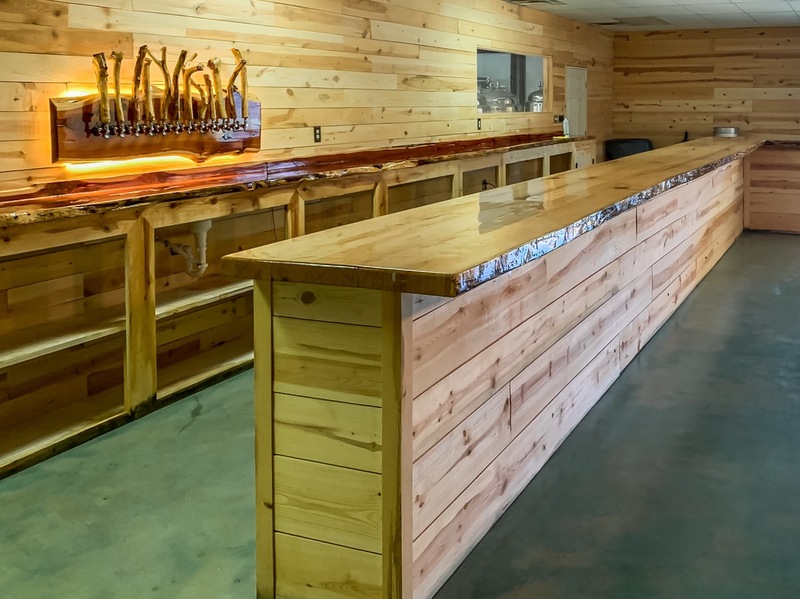 The 3-barrel brewhouse — obtained from Stout Tanks and Kettles in Portland, Oregon — is in place, and the 35-foot bar top is ready to support the elbows of thirsty patrons. According to Thompson, most of the brewery installation was done without outside assistance. Eight 3-barrel fermenters are currently full of beer. Once open, Boston Mountain will offer a wide variety of styles. Thompson — who studied chemistry at the University of Arkansas — said Boston Mountain is a natural next step for him and his partner. Thompson and Grinceri wanted to locate in Fayetteville, and ultimately decided on the shopping center at the corner of Township Street and Gregg Avenue because of the price, square footage, and sizeable parking lot. The space has experienced a considerable renovation over the last several months. Thompson — who grew up in Alread in Van Buren County and worked in carpentry with his father for a time — did much of the woodwork himself. Most of the heavy lifting is done at this point, though there are still some minor details to take care of. 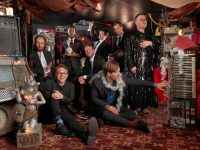 They are mostly formalities, though, and all signs are pointing towards a mid- to late-May opening. You can follow Thompson and Grinceri’s progress on Boston Mountain Brewing’s Facebook page.